Folks are stranded all over Texas as flood waters from Hurricane Harvey continue to rise. Many are in their homes, others in emergency shelters, and more than a few are at airports closed by the horrific storm. Southwest Airlines gave an unexpected lift to about 500 stranded travelers at Houston Hobby Sunday. 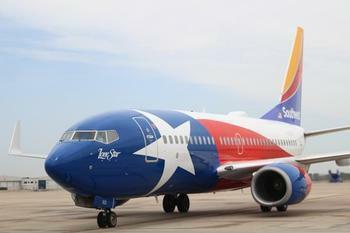 The airport was officially closed because it was without power but Southwest rolled out five 737s, loaded 'em up and headed out, dropping the grateful travelers in Dallas. The airlift was carried out quickly, since the flights had to depart before sundown, there being no runway lights. There was no other traffic in the area since the airport was closed, so the pilots used what's called VFR -- visual flight rules, also known as see and be seen. It's also called looking out the window. While it may sound unorthodox, the flights were perfectly legal and safe and had been given Federal Aviation Administration approval. Will Hurricane Harvey cause a spike in gas prices? With hurricane season underway, what can you do to prepare?